Some people feel that the State has a responsibility to protect its citizens and executions are the surest way to provide protection against murderers. In the abstract, people may feel that it is the responsibility of the State and the State should carry out the execution. But, we are the State. The people are the State. 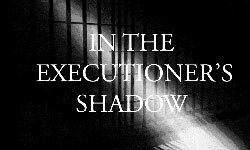 When there is an execution, everyone is responsible, yet a few citizens are asked to carry out the task of killing another human being. There is a better alternative: life without parole. In Oregon, we have the option of sentencing convicted murderers to life in prison without the possibility of parole. There are currently over 121 people in Oregon who have received this sentence.